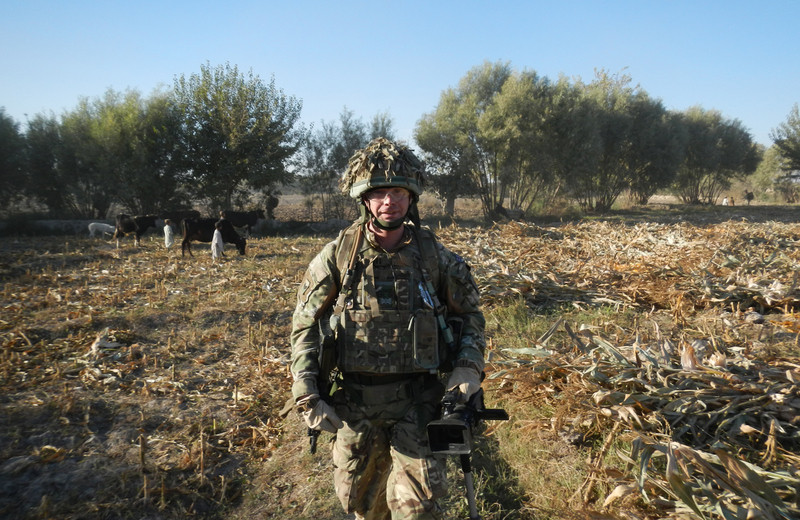 As a team the three of us recently travelled up to Kabul, with the aim of collecting stories on 2 Signal Regiment. 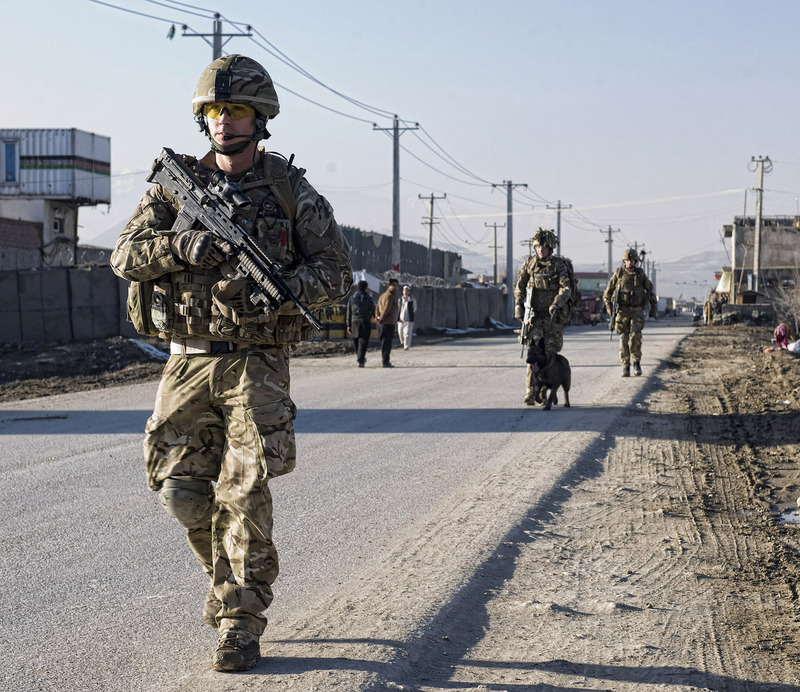 They are based out of Camp Souter, as well as their main signals/communications role they are also providing force protection and other services around Kabul. 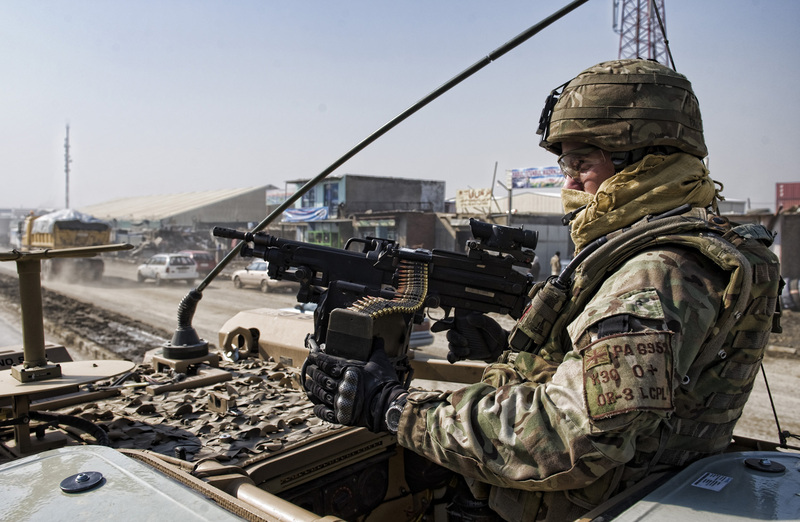 Working in the media you do notice Kabul doesn’t really get mentioned much, the focus is nearly always Helmand province. 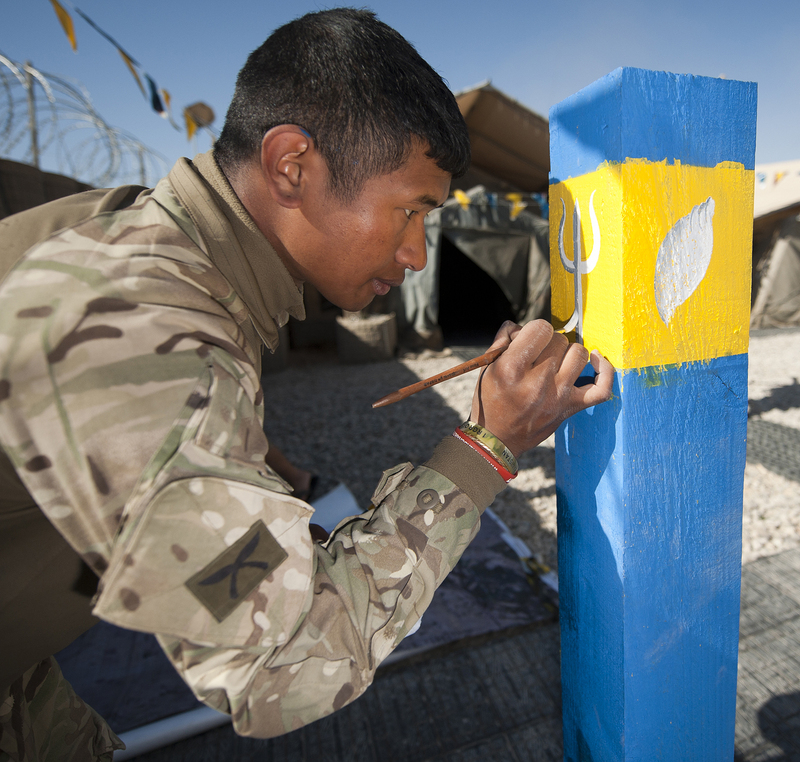 So units like 2 Signal Regiment get missed. 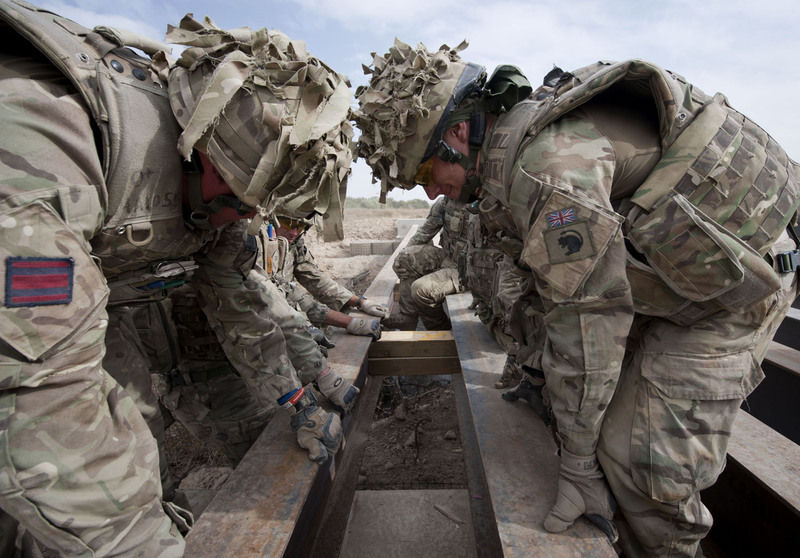 They are actually doing an infantry task up in Kabul which the Signals have for a number of years. Herrick 17 will be the last tour the signals are doing this job as an infantry unit will be taking over the task on Herrick 18. On arriving in Kabul the difference in weather was the most surprising thing, as we got off the plane there was a layer of snow everywhere. 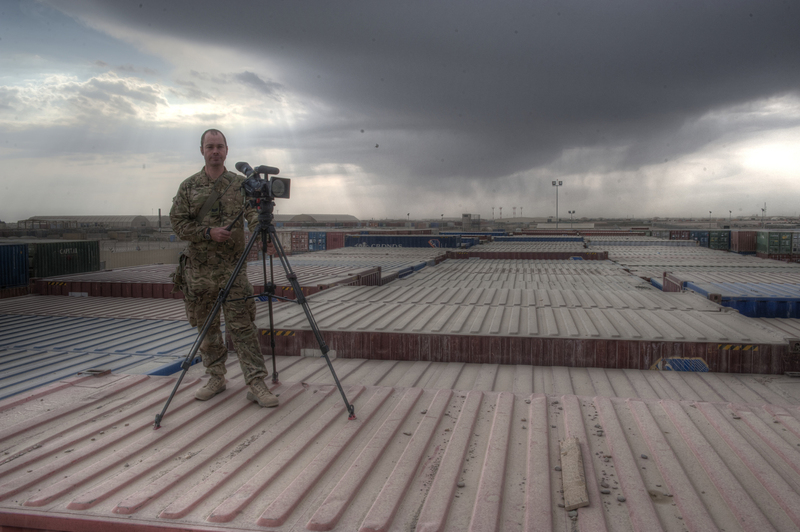 As part of the visit, I filmed another My Job in Afghanistan video, following Staff Sergeant Britton in his job as a multiple commander. My boots crunch through melting layers of ice covering the rough concrete pathway. Bits of rubble and the odd weed poke through the ice. I can feel the biting cold, cutting through my body armour as I walk in the looming shadows of derelict factory buildings. 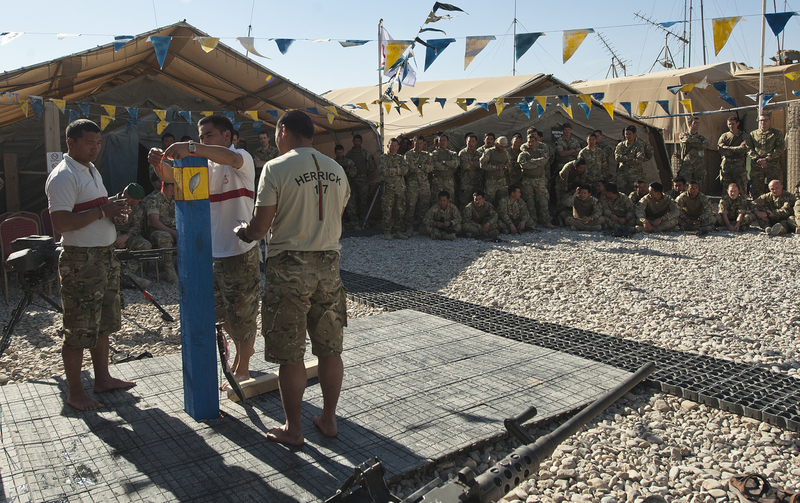 A portion of the UK troops based in Kabul call this camp home. An old factory constructed from concrete and steel, surrounded by high fences topped with razor wire and guard towers lining the perimeter of the camp. Its times like this I’m glad I’m wearing a helmet, as they do provide some extra warmth. Inside the buildings they could actually be any barracks back in the UK. 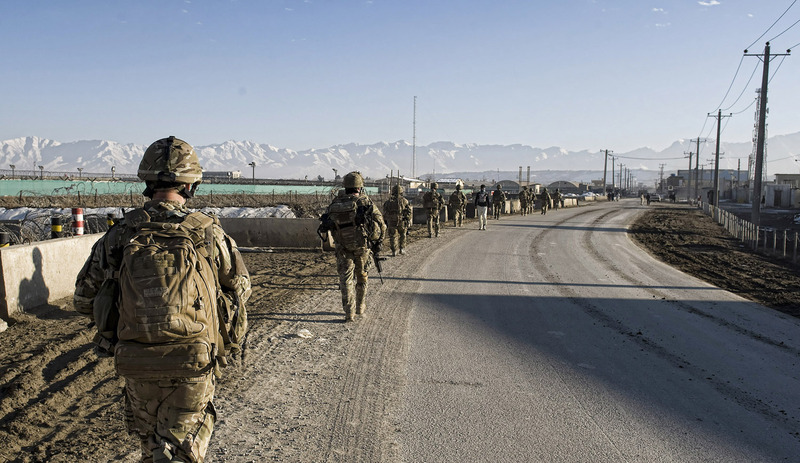 Outside the whole place feels grey and dreary but when you look above the wire fences, concrete walls and shattered building, you see breath-taking views of mountains covered in snow and bathed in sunlight, a site you see in most ski resorts in the Alps but not something I associated with Afghanistan. When I leave the patches of freezing shade, the heat of the sun warms me up almost instantly. Everywhere we go in this country all the elements seem to be measured in extremes. 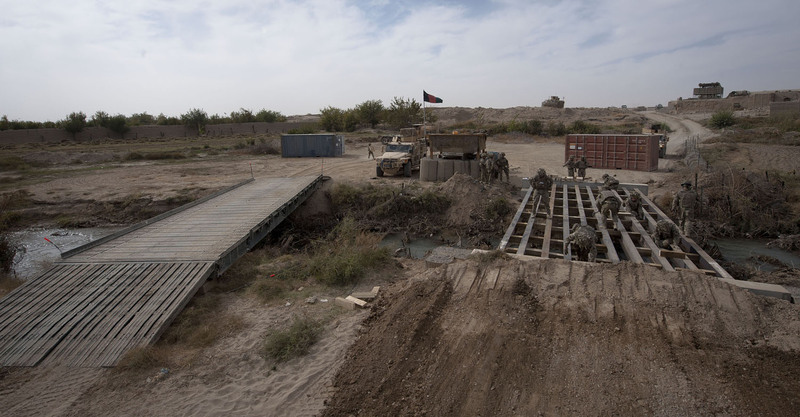 The one thing that is the same in either Kabul or down in Helmand is the smell, it’s not a bad smell but it’s always in the air. The smell of diesel from vehicles, mixed with burning rubbish and refuge. Also the gentle thrum of generators, that’s a sound that becomes so normal after 6 months out here you forget it’s even there. Every camp you go to, there are generators and their relentless noise. I arrive at the main gate and meet the rest of the patrol, all ready to head out into Kabul city on a foot patrol. The gate is sheet metal in fact there are two gates, a double layer of protection, with enough room for two vehicles to be closed in between them. Thick concrete blast walls flank the gates and the lane leading up to the gate is also lined with temporary concrete blast walls. 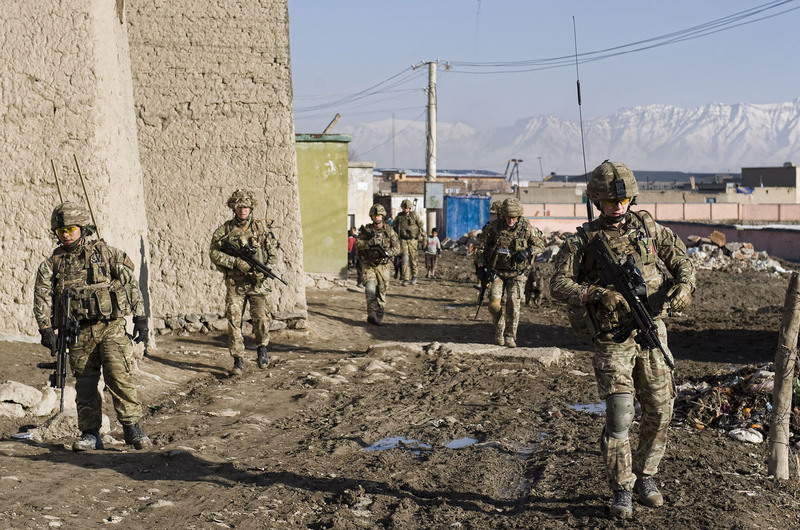 The patrol stands in a rough gaggle, wearing full British uniform, body armour, helmets, eye-protective glasses, a mix of rifles and Mini-Mi machine guns are spread throughout the patrol. 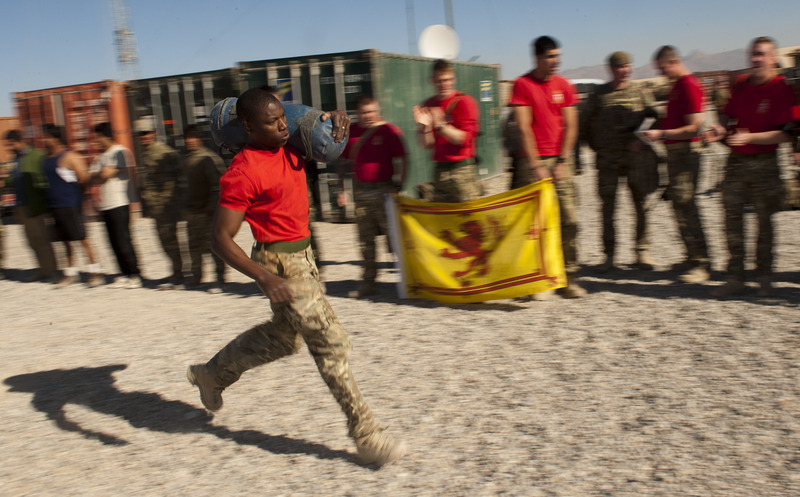 Rucksacks full of equipment, ammunition, water and radios weigh down everyone’s shoulders. The banter is flowing so morale is high. I like to think it’s because the guys are looking forward to me videoing the patrol and making them all famous! But I doubt that. Thankfully we’re all stood in the sun while we wait for the last few to arrive. I can feel the sun soaking its’ heat into my core. Staff Britton walks over to me and says “when the main snow fall came at the weekend, it covered everything with about a foot of snow, the following day the sun came out and melted the lot in a couple of hours!”. Whilst with the Signals, we went out on a foot patrol with them and a vehicle patrol here are some images take by my colleague Cpl Jamie Peters during these patrols. 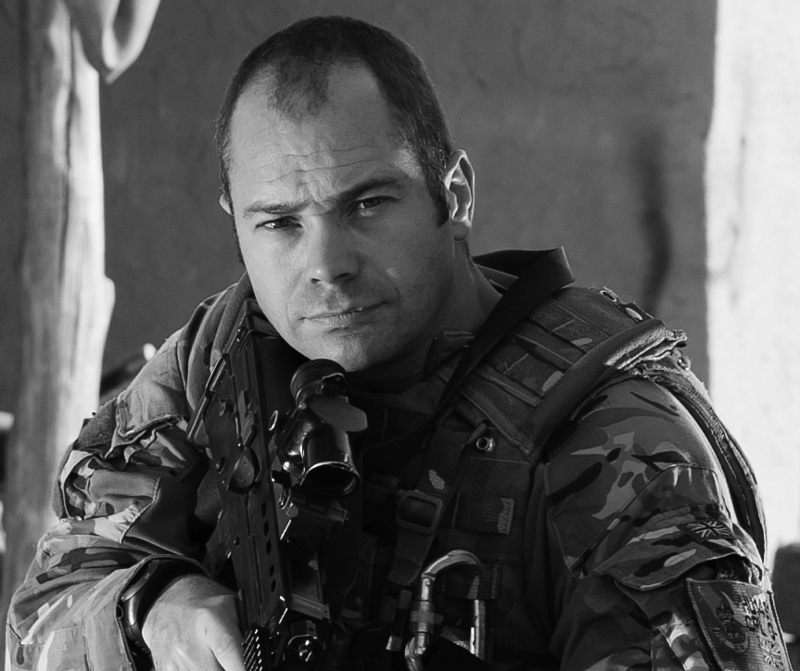 First of all what have we got released, well Jay, Cpl Jamie Peters, has had lots of his images used in various forms of print across the media. On the video front some highlights for me were Remembrance and St Andrew’s Day. 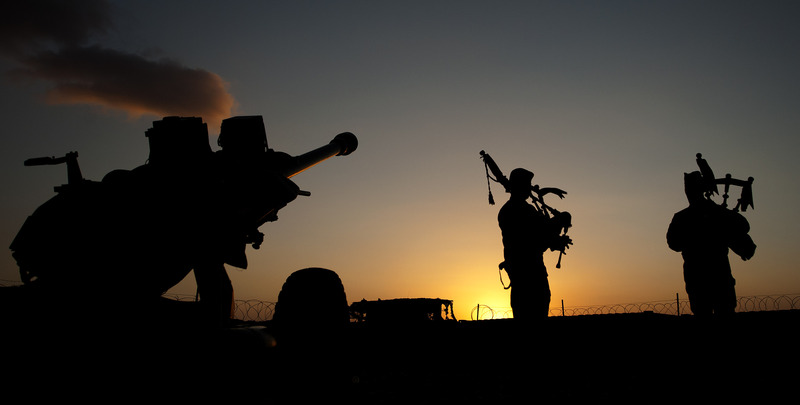 These two jobs were both with the Scots Guards who are based out at FOB Ouellette. For these jobs I had to film, edit and send the footage back to the media all in the same day, which is really what the CCT is made for and on both occasions STV (Scottish TV) ran with the stories. Me and the boss interviewing. The main challenges with this sort of job are, time appreciation and technology. Both these events were planned in true military fashion down to the minute. The situation really did remind me of wedding photography, the couple have their big day planned to the minute and they’ve planned in some 5 minute slots for photographs. You then have to deliver a slice of reality to them and the time table is started again actually giving you a chance to cover the day successfully. If only the military was that easy but as some one of a more senior rank than me has planned the days activity’s I don’t have a cat in hell’s chance so the only thing that is getting changed is my plan of attack. Inevitably there will be some things I can’t film as I’m somewhere filming something else or we’ve got the next 5 mins sprung on us to do an interview with the commanding officer, which also means I’m going to miss another key part of the day. I’ve found that I have to keep a mental note of what I have filmed and what’s left to shoot, if I imagine the news story in my head using the footage I have I will either be happy or start panicking! In reality, news stations don’t need clips of ‘everything’ as they only have 20-30 seconds to fill with the story anyway, I just need to make sure what I do film is strong and tells the story, No pressure then. The technology side of this is the BGAN satellite link we use to send the rushes (video footage) back to the news and this dictates the other time issue. It will take me about an hour to take all the footage off the camera and cut it down to rushes, then we have to allow at least another hour to upload and if we’re aiming to get this on the evening news we really need to get it over to the news stations by 13.00 – 14.00 which is 17.30 Afghan time… So I need to stop shooting at around 15.00 and if they’ve got anything really interesting planned after that time I have to be really strict and not film it as we’d rather get what we have on the news than none at all because it went over to late. Both pieces were used by Scottish TV, which is great for us but more importantly it’s great for the guys we’ve filmed and their friends and family back home. 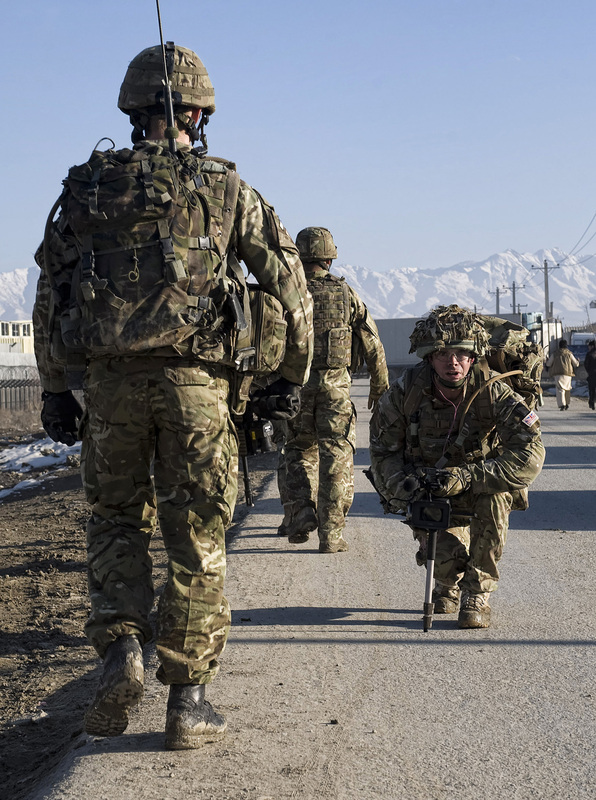 We’ve also spent some time putting together a video message from Afghanistan to be played at the British Military Tournament this month, so that’s quite exciting as it’s a high profile event, so keep your eyes out for that! I’ll leave it at that I could keep going but fear you may fall asleep! One final thought, we’re in the desert and its freezing! Well we’ve been here six weeks now. And we’ve been busy bees.. 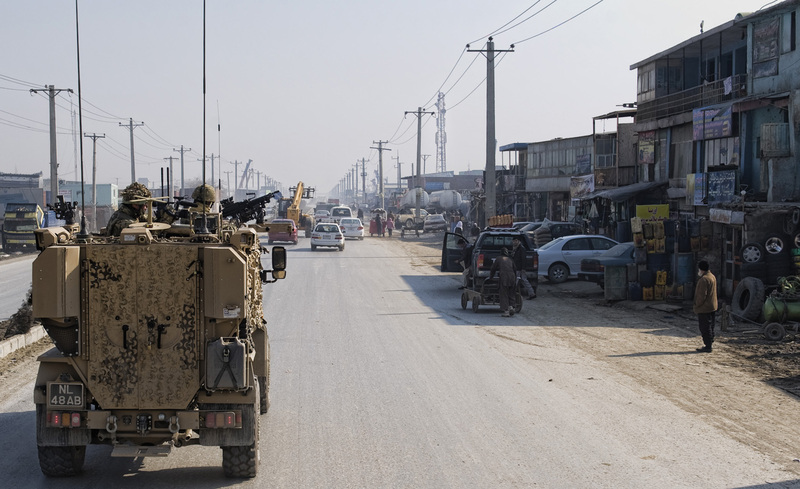 In the six weeks we’ve been here we’ve been back and forth from Lashkar Gah and as a team we’ve been out to Patrol Base 2, PB4, PB5, Shawqat, PB Clifton and Main Operating Base Price to name a few. 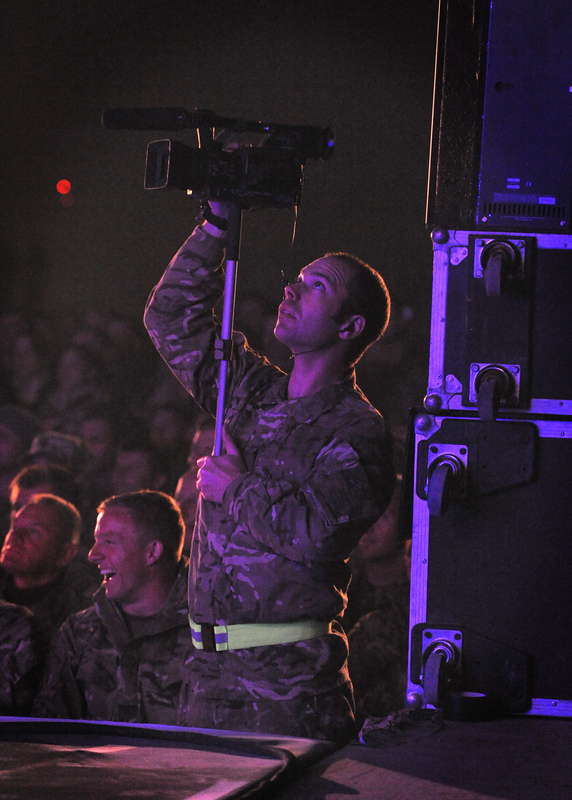 The great thing about being on the Combat Camera Team and in the job as an Army Photographer as my Regular counterparts are, is you get to see what every unit in the Army does, normally if you’re an Infantry soldier, a medic, an engineer or any other unit in the Army you only really see what your unit does as that’s your job, you’ll see the periphery of other units but in our roll we embed with a unit and really see what goes on. 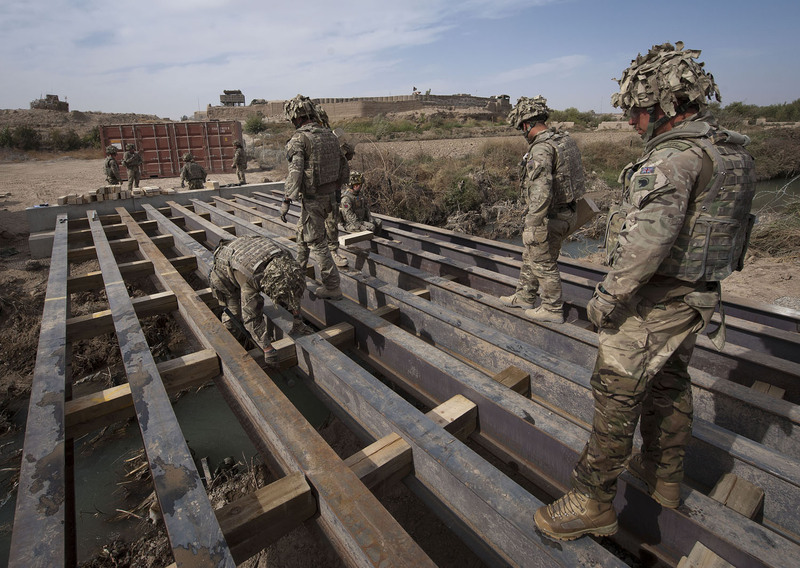 We went out to PB Clifton to see 21 Engineers as they were building a non-equipment bridge, this kind of bridge build is great for Afghanistan as the bridge itself is made from local materials and built in a way that the locals can repair and maintain the bridge easily long after ISAF forces have left Afghanistan. 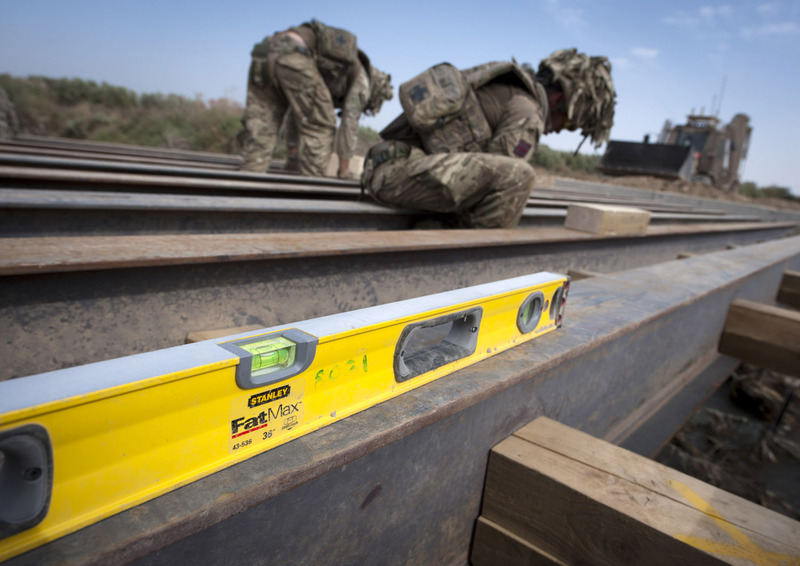 Here’s a collection of images taken by Cpl Jamie Peters, Jamie is the photographer in our three-man team. Straight after the PB Clifton job we were bounced out to PB2, as the Gurkha’s from 1st Battalion Royal Gurkha Rifles were about to start celebrating Dashain and sacrifice some watermelons. The Dashain Festival, as celebrations in Nepal go is the equivalent of our Christmas, so it’s a big deal and a special time for family and friends. As we will see in a couple of months time with random Santa outfits, decorated patrol bases, millions of sprouts and tonnes of Turkey. 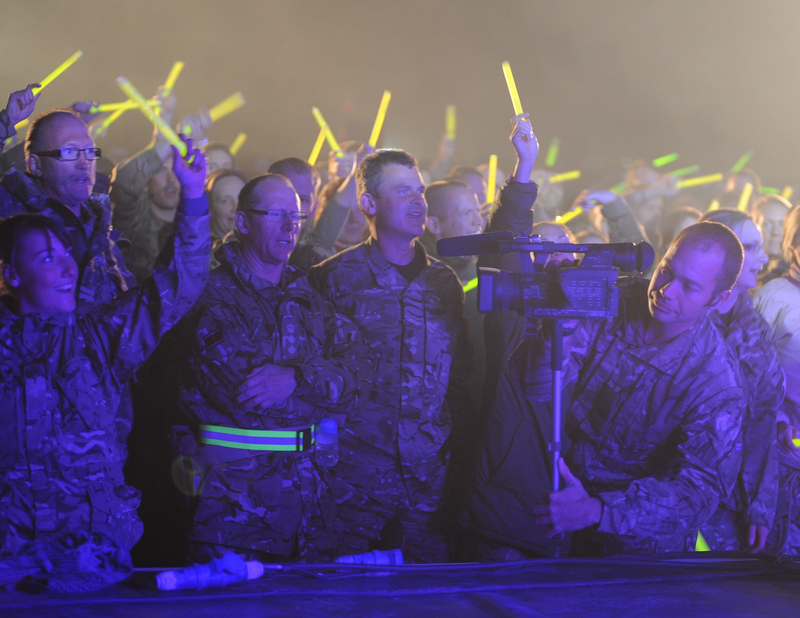 It’s important to the troops to make this time as normal and happy as possible. And the Gurkhas didn’t let us down, they really did have a fantastic couple of days. 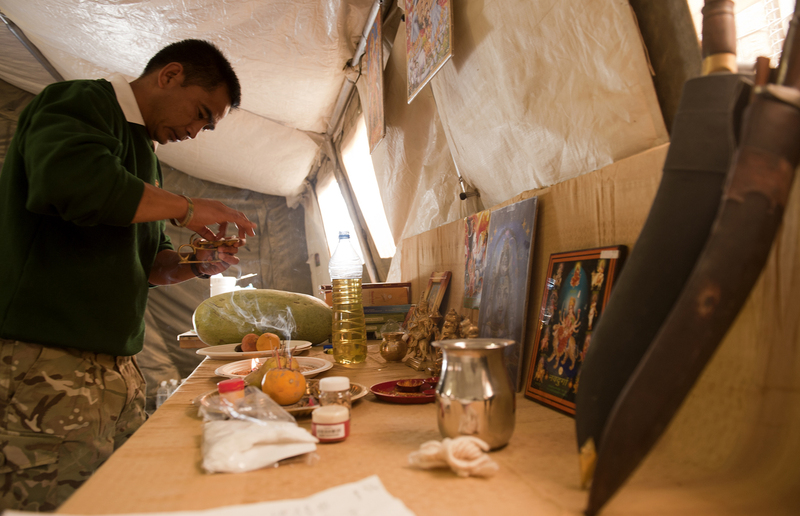 Back home in Nepal and the UK, Dashain is celebrated for 14 days. 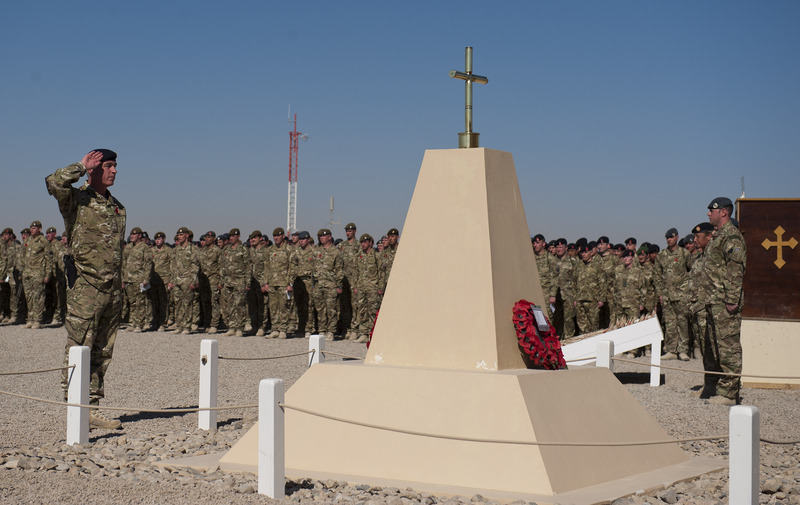 But for obvious reasons they have to shrink it down here in Helmand and they settled for four days. We were only there for one day but that was the day involving Curry and entertainment so we did well. We also foot patrolled out to one of the smaller check points to visit the guys out there to see how their celebrations were going too. Here’s a video I produced of the day, so you can get a feel for what it was all about. 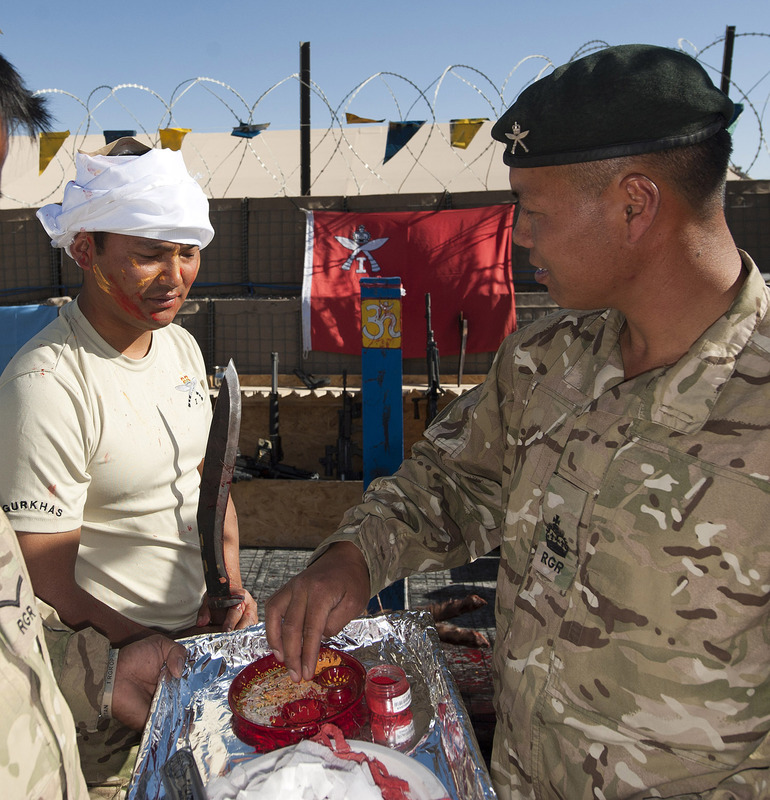 Gurkhas Celebrate Dashain Hindu Festival in Helmand. 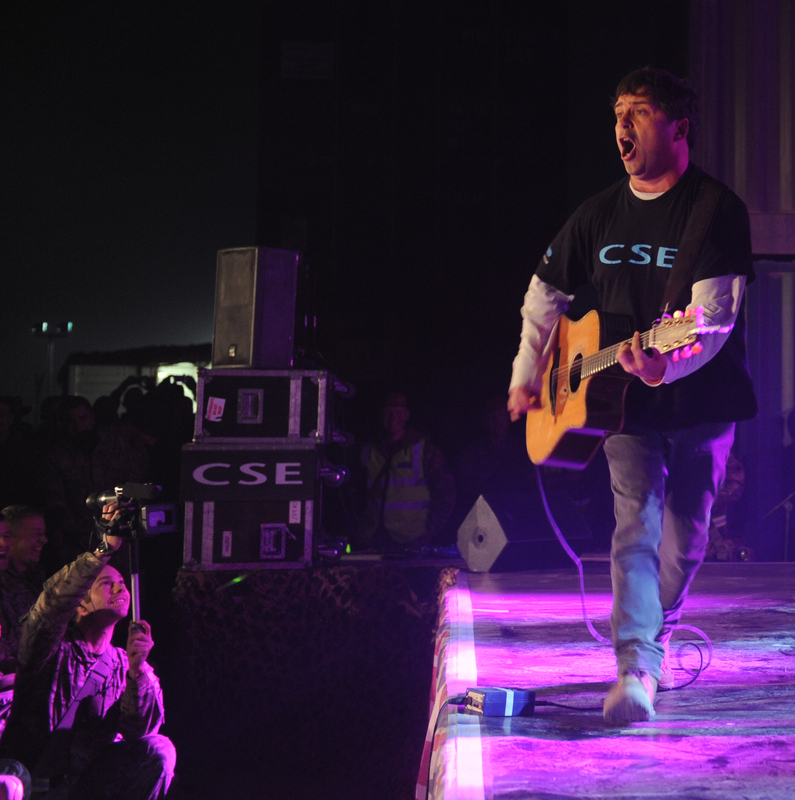 Here’s a photo of me taken by the boss Captain Booth and as you can see six weeks into a tour working with two photographers and he’s still chopping my feet off! Back in Bastion, we still have to carry out jobs that are equally as exciting like filming and photographing ISO containers. That’s a challenge in itself, make ISO containers exciting! I think I’ve gone on enough now but I’ll be sure to update you again soon.